The writings of T. Ratcliffe Barnett appear from time to time on our pages, through his atmospheric descriptions of travels through Scotland, visiting places like Cromarty, the birthplace of the geologist Hugh Miller. His own story is that of a man with great abilities and warm humanity, as Christine Muir describes. Although I knew that the Rev. Dr Thomas Ratcliffe Barnett had married my parents, Neil and Susan Macpherson, and two years later had christened me, only to have to take Neil’s funeral four weeks later, I hadn’t known much about his incredibly varied and dramatic life. I knew he was a writer, but had read only one of his books. However, as soon as I read ‘The Voyage of the Kelpie’ I realised that Thomas was no ordinary minister. In 1890, as a young man, he and his elder brother James, who became a naval architect, designed a built a two-seater flat-bottomed canoe, with two masts and two lug-sails, and launched her into the River Cart, for an inland cruise. Thomas was the cook, and took his banjo, James was the skipper, and there were many adventures and lucky escapes before they came safely home to Bowling. The trip is detailed in The Road to Rannoch and the Summer Isles, as well as on the Forth Yacht Clubs Association forum on the web. 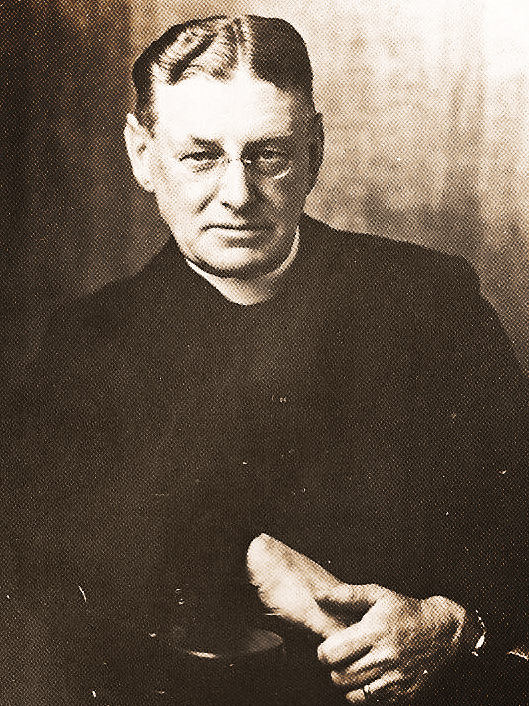 He went to the University of Glasgow, trained as a minister, and in 1914 was called to Greenbank Church in Edinburgh, where he more than doubled the congregation, mainly young people, but he was deeply moved by the tragedy and slaughter of war, and joined up as a chaplain, serving in France. He also played the violin and the bagpipes. Greenbank continued to pay his stipend, part of which he donated to the War Hospital. After the war, he ran weekly clubs for “boys and men crippled in body and mind”. I had no idea until I began reading about him that he was so affected by what he had seen in the war that he became involved in funding the Edinburgh Hospital for Crippled Children, later the Princess Margaret Rose Hospital for Crippled Children in Edinburgh in 1932, for children with TB, rickets, polio, and later helping children affected by thalidomide. When I was at primary school there were still children in callipers, who had had polio, and the hospital was well-known for its treatment of this disease. The word ‘crippled’ was dropped in 1937, and it became an orthopaedic hospital for adults as well as children. Thomas wrote many books, in between working for his PhD from Edinburgh for English Literature in 1925. The more I read, the more I have grown to like and admire him. He is funny, kind, deeply thoughtful, he cares about his fellow humans. His personality still shines from the pages. Because the books were written in the first decades of last century, they are of their time, much of the writing is flowery, in the style of the post-war years. Perhaps his lyrical descriptive prose was a conscious attempt to overwrite the horrors he had witnessed, by providing an escape route for himself and for his readers. They are a good contrast to fast-moving thrillers and violent news, and I have read four so far – Reminiscences of Old Scots Folk, Autumns in Skye, The Road to Rannoch and Lothian Lore. When I was reading ‘Rannoch’ I was amazed to see that Thomas had been to North Ronaldsay, Eday and Westray on “a little coasting steamer, that carries cattle and sheep, provisions and passengers”. In Eday, where he stayed in a hospitable house, he had intended to go and visit a chambered cairn, when he was asked if he’d look after the new baby all afternoon, so he must have been a good hand with bairns. When he reached Westray, he commented on how cold the church must be in winter, when the beadle informed him, “Young man, we heat this kirk frae the pulpit”! I had never heard of the Bad Step and Jacobite Hidie Hole, but it sounds terrifying. Thomas describes this scary descent to the cave, and it makes fearful reading, even after all these years. 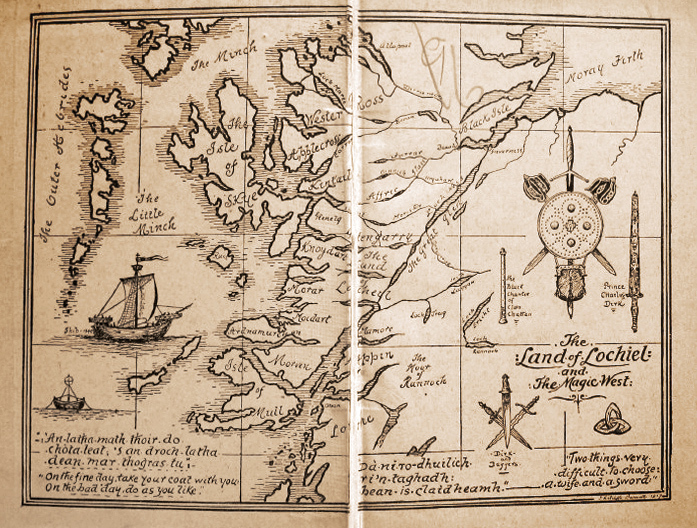 Many of the places he describes in his books are familiar to me, although I saw them long after Thomas hiked over moors and bogs, and climbed mountains and sailed lochs and rivers. It’s good to read about those journeys, in the Borders, Argyll, the Trossachs, in his calm and thoughtful prose. I’d love to get his other books. Even now the places he visited must be greatly changed. I’d like to read about them all again, from a new perspective. However, I’m glad to have come to these books that Thomas wrote, knowing that he knew my own family in happy times and in the very worst of times, when already Poland had been invaded and memories of the First World War must have been crowding back. He had already retired but had been recalled, and he died in 1946. 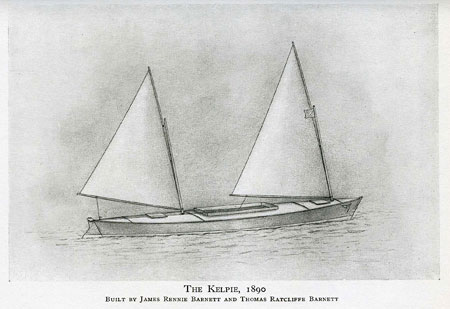 The background to the voyage of the Kelpie can be found on the web, along with T. Ratcliffe Barnett’s own account of it.